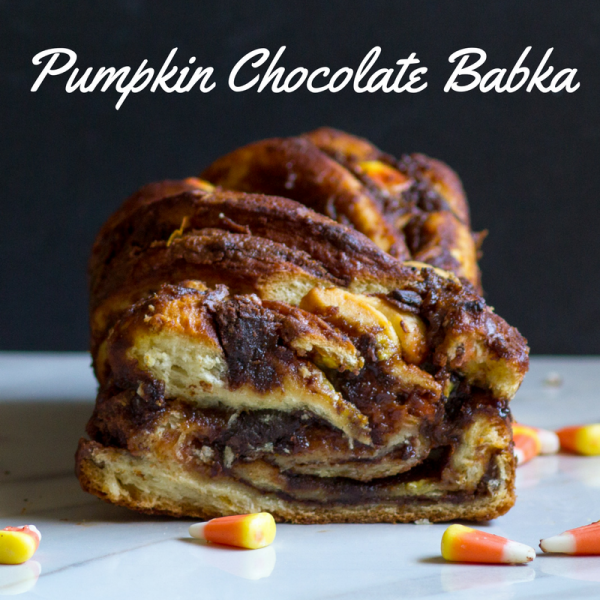 You can’t beat a babka! 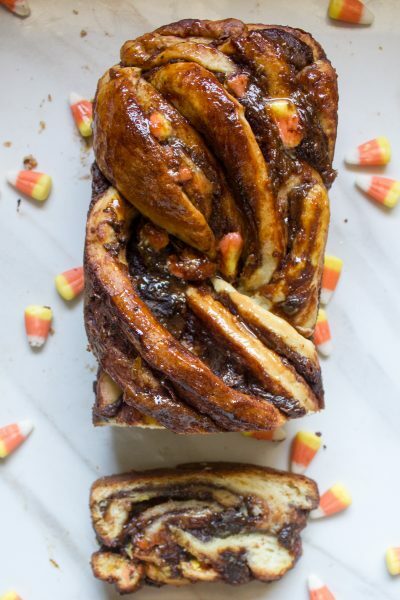 Especially a Pumpkin Chocolate Babka with Candy Corn thrown in for kicks! Even Elaine knows you can’t beat a babka. I did a layer of chocolate. And a layer of homemade pumpkin butter. You can use store-bought chocolate spread and pumpkin butter if you want to be lazy efficient. Layer it up, baby. 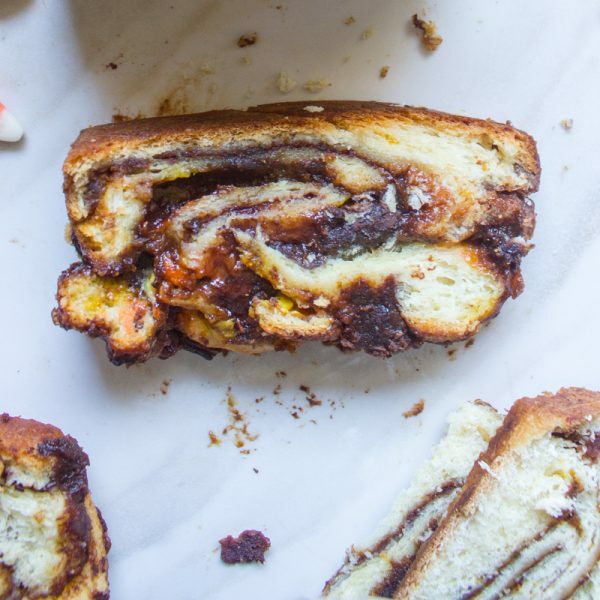 The thicken the filling, the more gooey and messy the babka will be. A warning and a premonition. I decided to add some candy corn because Halloween!! And no adults were home to stop me. This added some chewy sweet bits I really enjoyed. 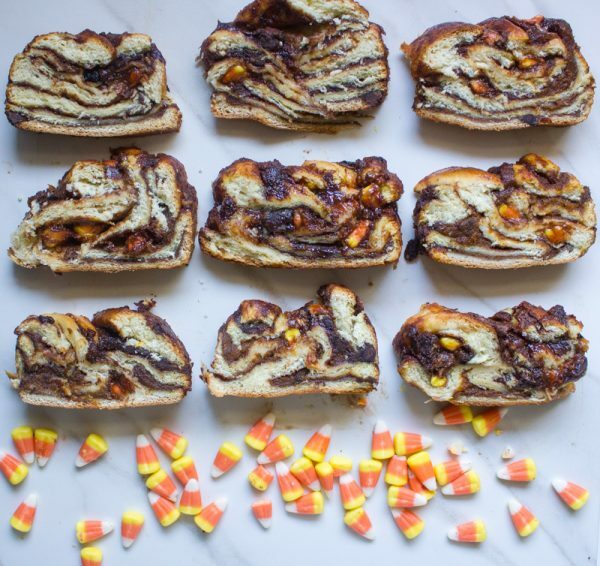 Some of the candy corn stuck to the sides and bottom of the babka, creating extra chewy goodness. Kind of like those cheesy crusties that drip out of pizza and are the best part. Dibs. Twist it, work it, shape it. There is nothing like that first bite. This is not helping me fit into my Halloween unitard. 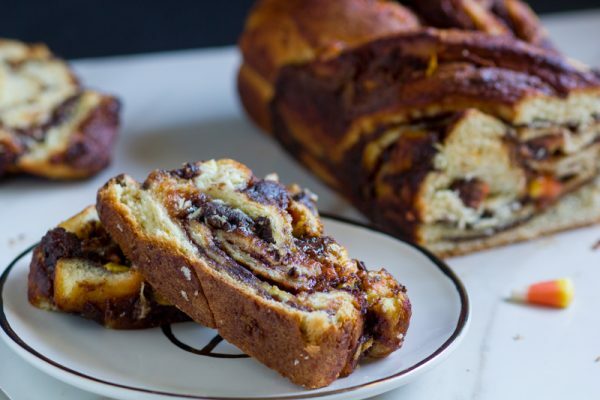 You can't beat a babka! 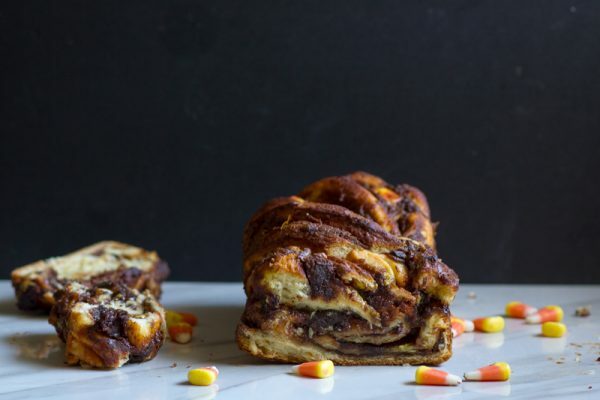 Especially a Pumpkin Chocolate Babka with Candy Corn thrown in for kicks! To make babka, combine yeast, milk, and 2 teaspoons sugar in a large bowl of a stand mixer and stir to dissolve. Wait 10 minutes; the mixture should get foamy and puff up. If it doesn’t, the milk was probably too hot, too cold, or the yeast is dead. Try again! 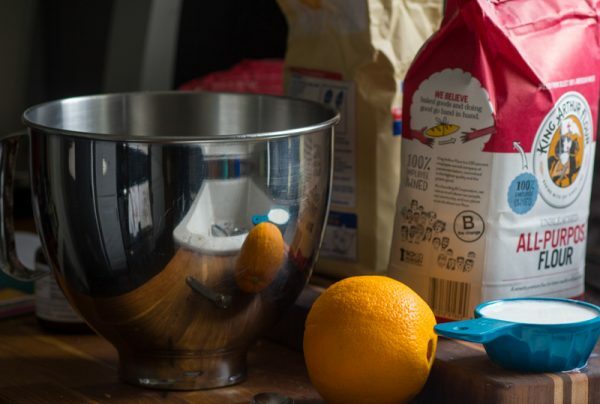 Then add the flour, remaining sugar, and orange zest and stir to combine. Add eggs, one at a time, and mix with the dough hook attachment until dough comes together; this may take a couple of minutes. With the mixer on low, add salt, then butter, a little at a time, mixing until incorporated. Then,mix dough on medium speed or by hand for about 8–10 minutes until completely smooth, shiny, and slightly sticky. Make sure to scrape down the sides as you mix so everything gets incorporated. Add more milk if it’s dry, a little more flour if wet. 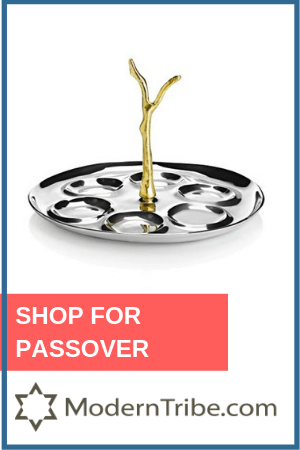 Coat a large bowl with oil (you can just clean out your mixer bowl and use that) and place dough inside, cover with plastic, and refrigerate for 12–24 hours, or until almost doubled in size. When the dough is ready, make the chocolate filling. 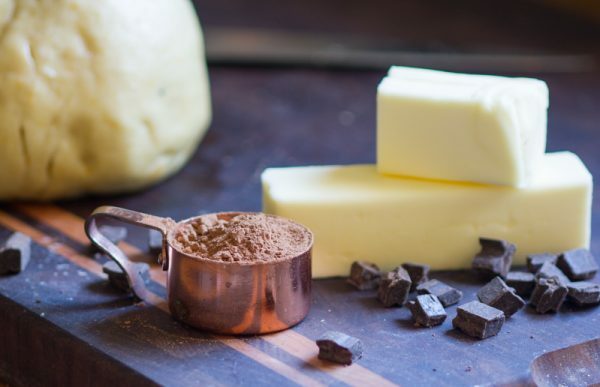 Melt butter and dark chocolate chips together in a medium saucepan over low heat while stirring until smooth. Stir in powdered sugar, cocoa powder, and salt and let cool; mixture should form a spreadable paste. 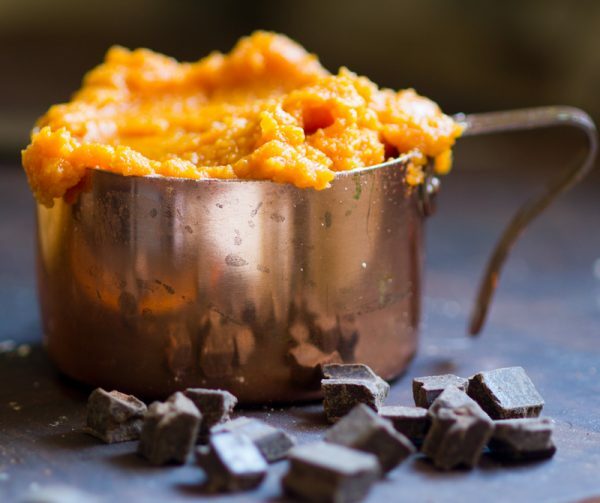 To make pumpkin butter, in a large saucepan, combine pumpkin, orange juice, ginger, cloves, cinnamon, nutmeg, brown sugar and vanilla in a large saucepan. Bring to a boil while mixing well. Reduce heat, and let simmer for 20-30 minutes until thick, stirring often. Set aside to cool. Divide the dough in 2 equal pieces and roll out one piece into a very thin 16 x 12-inch rectangle. You may have to let the dough come to room temperature a bit if it is hard to roll. Spread half of the chocolate filling over the dough, leaving a ½-inch (1 cm) border. Then top with half of the pumpkin butter. 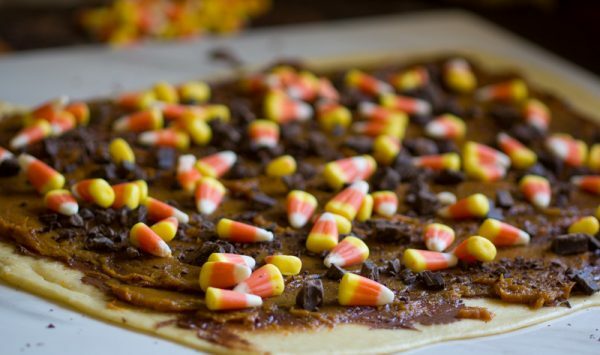 Sprinkle with half the chopped chocolate pieces and candy corn. Brush the farthest 12-inch end with water to help dough stick to itself. Then roll the dough up into a tight log using the shorter side so you have a 12-inch log. Place roll on a lightly floured baking sheet and refrigerate. Repeat with other dough and refrigerate both for 30 minutes. Cut each log in half lengthwise and lay them next to each other. 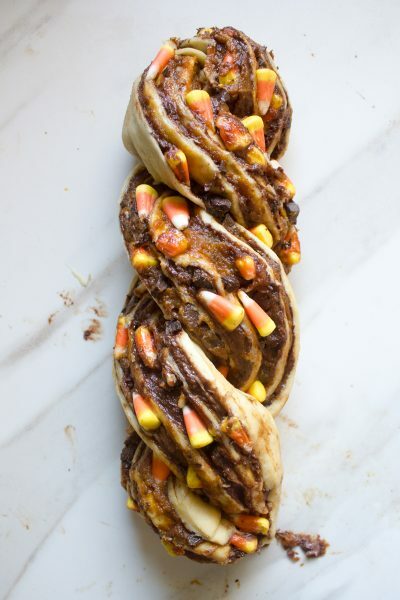 Pinch the top ends together and twist, keeping the cut sides up so you can see all the chocolate and pumpkin butter goodness. Stick in a few more candy corn pieces if you like. Place babka in the prepared loaf pan. Repeat with other loaf. Cover both with damp paper towels and let rise in a warm place another 1–2 hours. Alternatively, let rise in a refrigerator for 12 hours or overnight and bring to room temperature for 2–3 hours before baking. Preheat oven to 375ºF with a rack placed in the middle. Make the syrup by bringing water and sugar to a simmer until sugar dissolves. Remove from heat, and let it cool a bit. 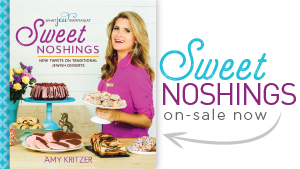 Place a baking sheet on a rack below where cakes will bake to catch any drips. Bake loaves for 25–30 minutes, or until a thermometer reads 190ºF. Halfway through baking, brush syrup all over babkas and return to the oven. Once babkas are done, immediately brush them with remaining syrup. Let cool in pan for 15 minutes, then remove and finish cooling on a cooling rack. 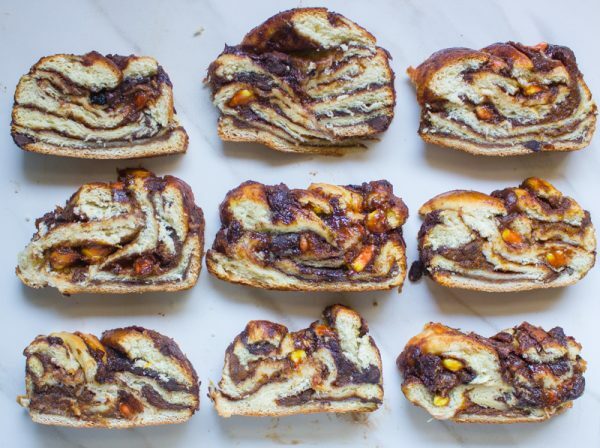 I am making this Babka this weekend. Question, For the chocolate spread, make it with the cocoa, and choc. chips? Use the chopped chocolate for the “sprinkle”? 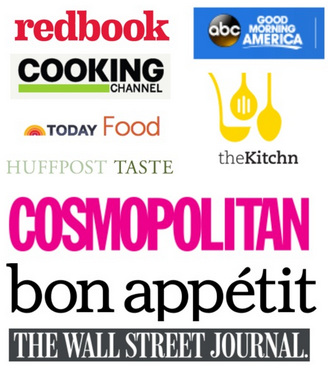 I am making the dough today, and babka tomorrow—please clarify as my mouth is already drooling for this dessert. Yes- that’s exactly it! 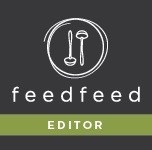 I’ll clarify in the recipe too. Enjoy! 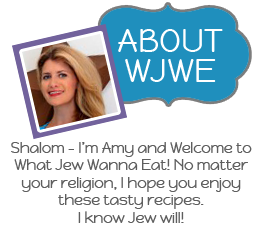 Thanks for the info…..will let you know how it turns out! !